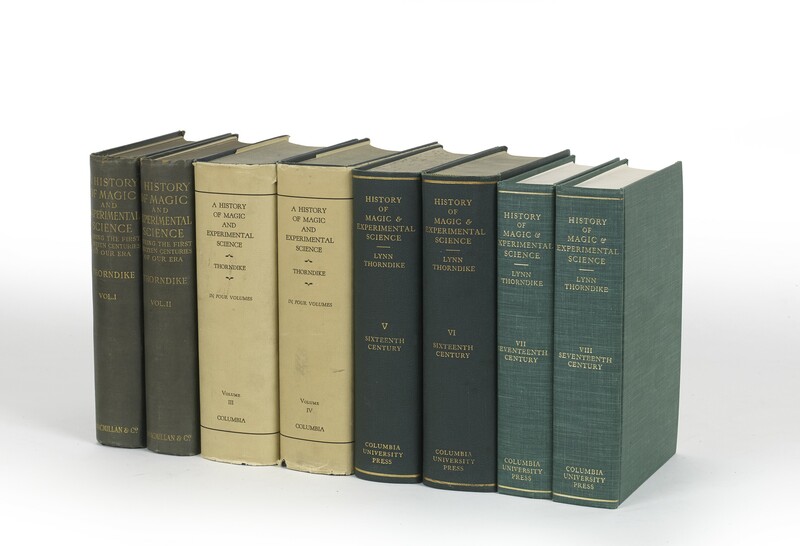 Eight volumes (22-23 cm), I-II (During the first thirteen centuries of our era, 1923): xl (2), 835 (1) pp. ; vi (2), 1036 pp. III-IV (Fourteenth and fifteenth centuries, 1934): xxvi, 827 (3) pp. ; xviii, 767 (3) pp. V-VI (The sixteenth century, 1941): xxii, 695 (1) pp. ; xviii, 766 pp. VII-VIII (The seventeenth century, 1958): x, 695 (1) pp. ; viii, 808 pp. Publisher’s cloth, printed dust jackets (vols. 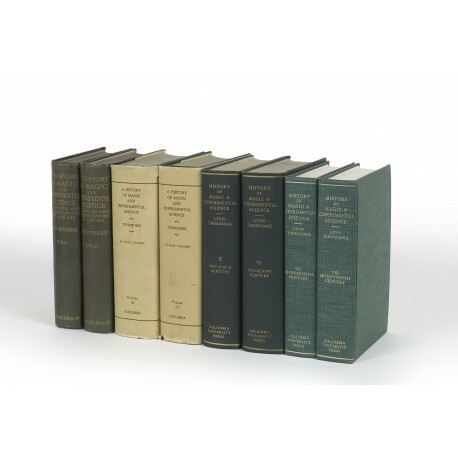 III-IV only; no dust jackets issued for vols. VII-VIII). - A wealth of information is provided on men now forgotten but influential in their time. ¶ Spines sunned (vols. 1-2); short tears in dust jackets. Fine set in first editions. From the library of Dr E. Ashworth Underwood, FRCP, with his pencil inscriptions (sale by Sotheby’s, 23 February 1981, lot 306).